Hiya guys! This week has simply flown by and that's probably because I have spent most of it sleeping. I've had so many things to catch up on and mid-week I just ended up passing out from exhaustion. Although I hate admitting it to myself, I am sick and not in the best of health. 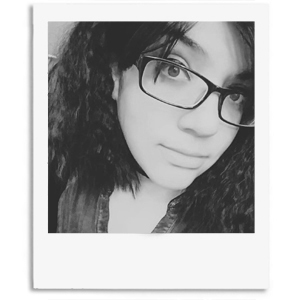 I ended up writing a section on my About page explaining the last few months if you don't already know. All that aside, it's time now to bask in some fun nail art! 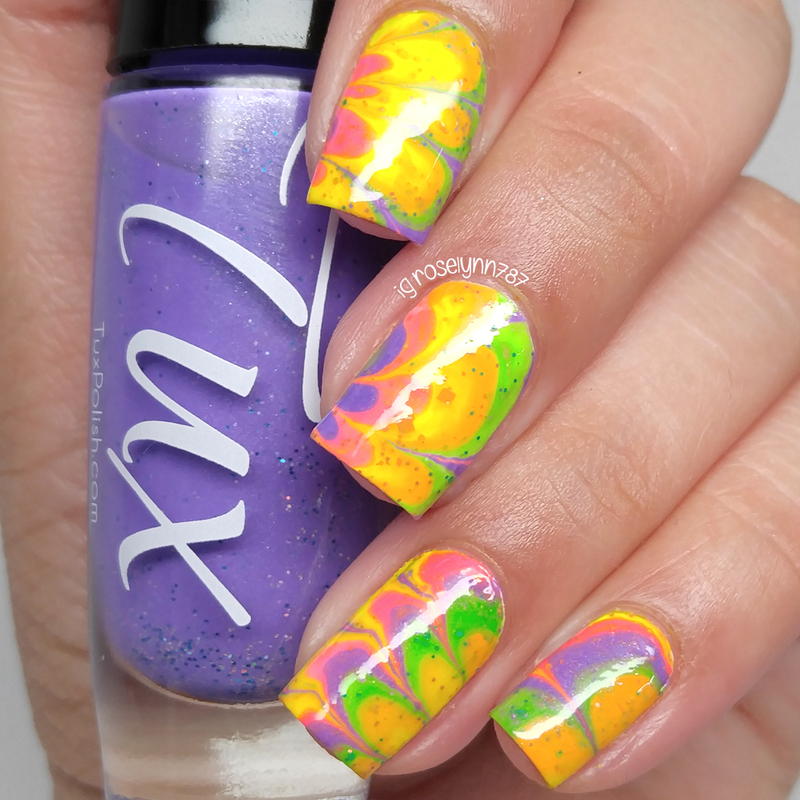 A few weeks ago I reviewed the Juicy Jewels collection from Tux Polish and showed a photo of the polishes in their watermarble glory. 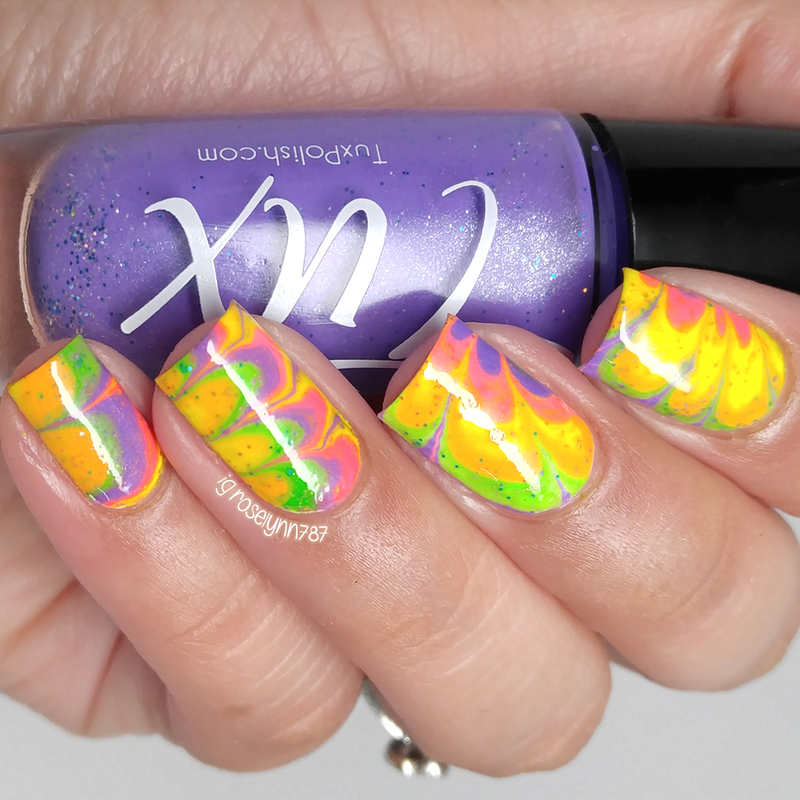 If you love neon polishes, but are looking for a little something different then these are for you. 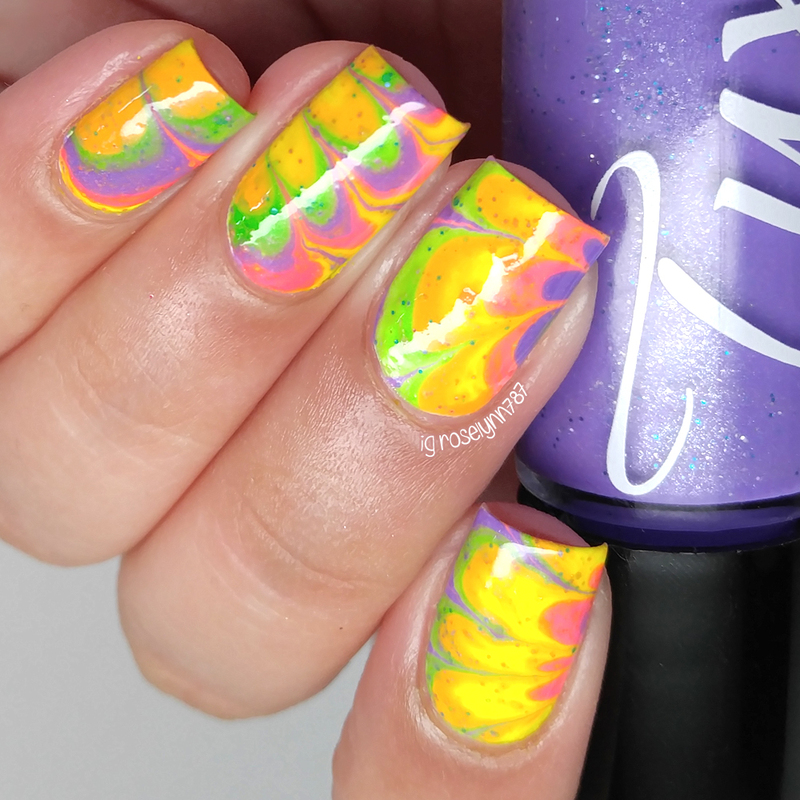 The collection consists of five neon crelly polishes that can watermarble flawlessly. Yes I can already tell you guys that enabler mode is fully activated right now, haha. All of these polishes spread really well in the water and moved easily into a pattern. I used each color three times in a rotation, going from the second to third rotation I noticed they started spreading a little less. I don't think these would have ended up spreading past fourth rotation due to thickness (due to the glitters is my guess). In this tutorial you'll be seeing me use something other than liquid latex and that is Easy Peel Off Mani Tapes from Mitty. These are a new alternative to using liquid latex and I'll be doing a review on these separately next week. As always there are three key things to a successful watermarble: patience, good polishes, and room temperature water. I've heard a lot of artists say not to use tap water, but in my experience it's never made a difference. To be honest, I usually fill up a cup of water and leave it on the counter over night to make sure it's that perfect temperature. Patience is also an important element because a watermarble manicure is time-consuming. There is just no way around that fact. Especially if you want to avoid air bubbles and other minor mistakes. The most difficult part of the whole process is the drawing of the pattern for me. Hence why I don't attempt anything other than this flower petal one. I don't know if it's just the polishes I have been using lately or something in the air, but I feel like I am addicted to doing watermarbles. That's definitely not something I thought I'd ever say, haha. I need to learn how to do other patterns in the water though, so that will hopefully be another manicure and video coming soon. Let me know what pattern you think I should try doing in my next mani! I need to invest my vacation time to practise watermarbling. That's just it. I'm still practicing my watermarble. I love this design, I'll be working on this one soon. Ahh, pretty! Watermarbles definitely take patience, which is probably why mine never turn out! Haha. Gorgeous work, though! Girl, this is so pretty, I could cry! I want your skills! Loving this watermarble. You always do a flawless job on them. I have been eying this collection so hard, and you're not helping! Haha! I am so envious of your skill with marbles.